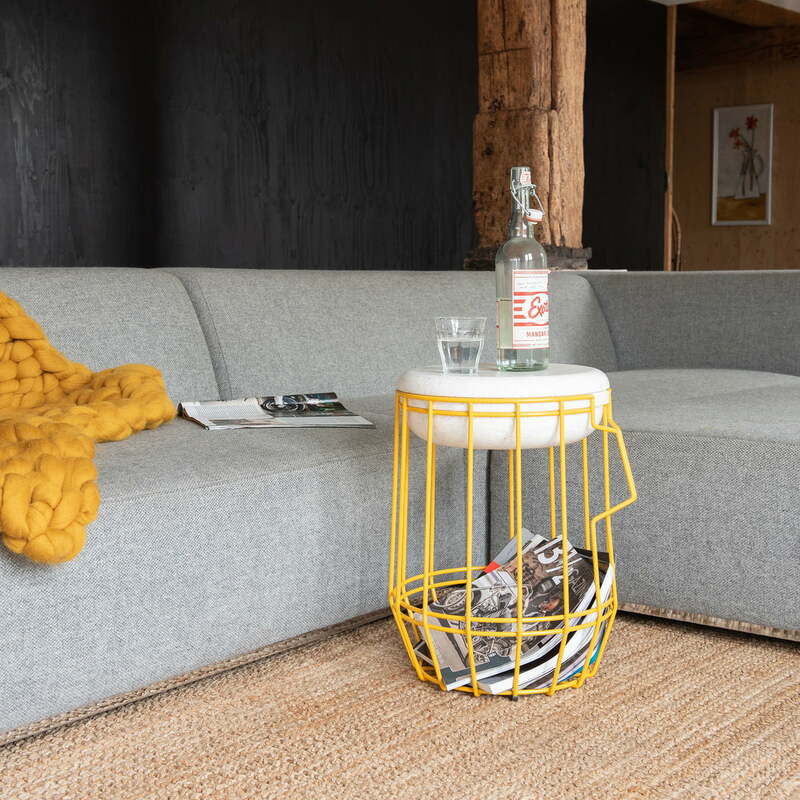 The Carrier is practical storage and stool in one, which makes it a versatile piece of furniture. 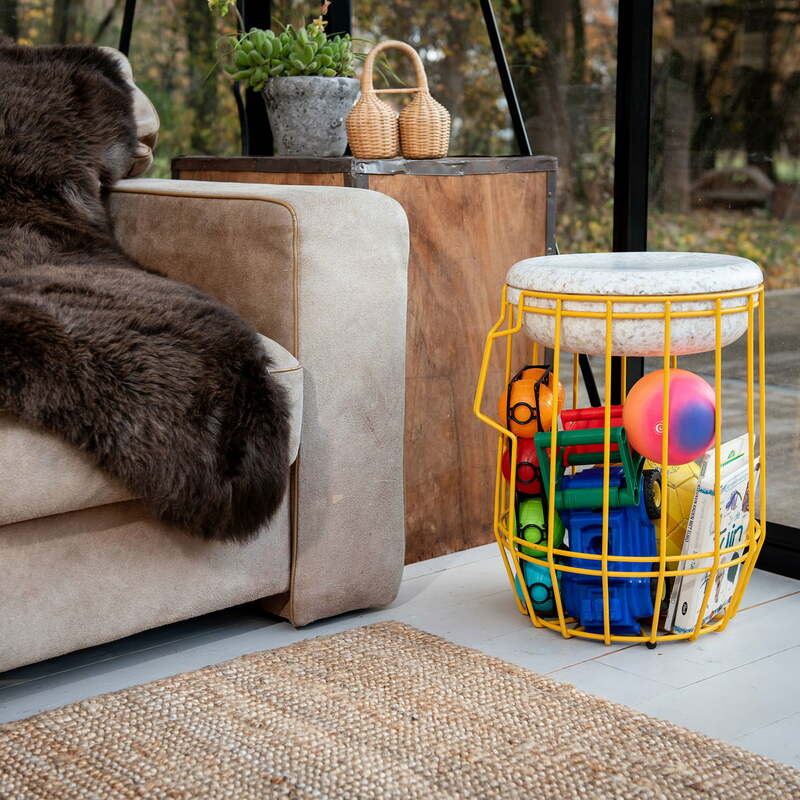 In the lower steel basket, for example, firewood, a ceiling or toys can be visibly stowed away. 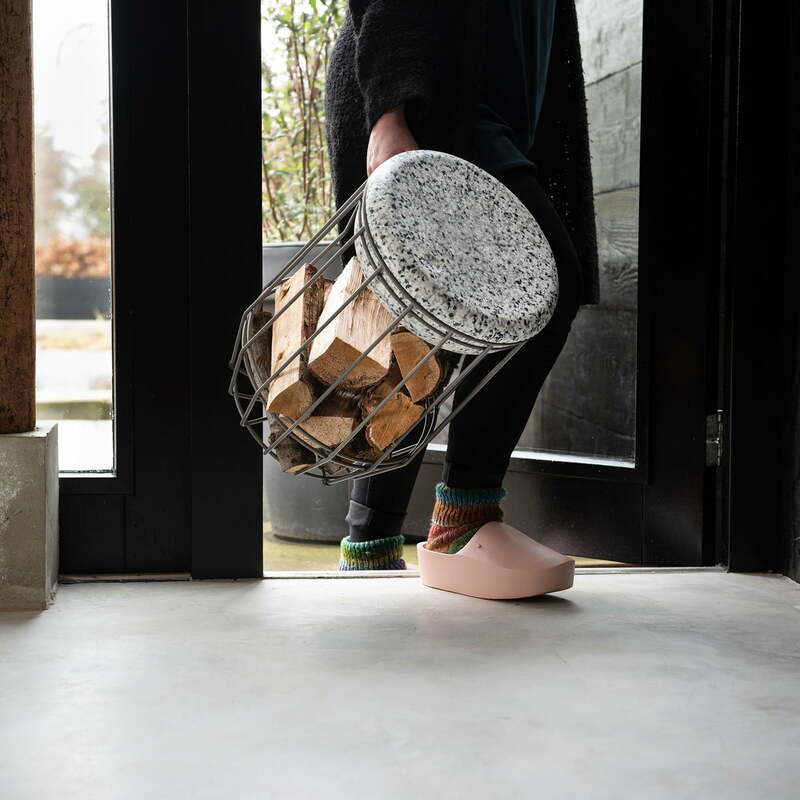 With the help of the handle, the basket can easily be carried to the desired place of use. The basket is closed with an Ecopixel lid (at least 90% recycled LDPE). 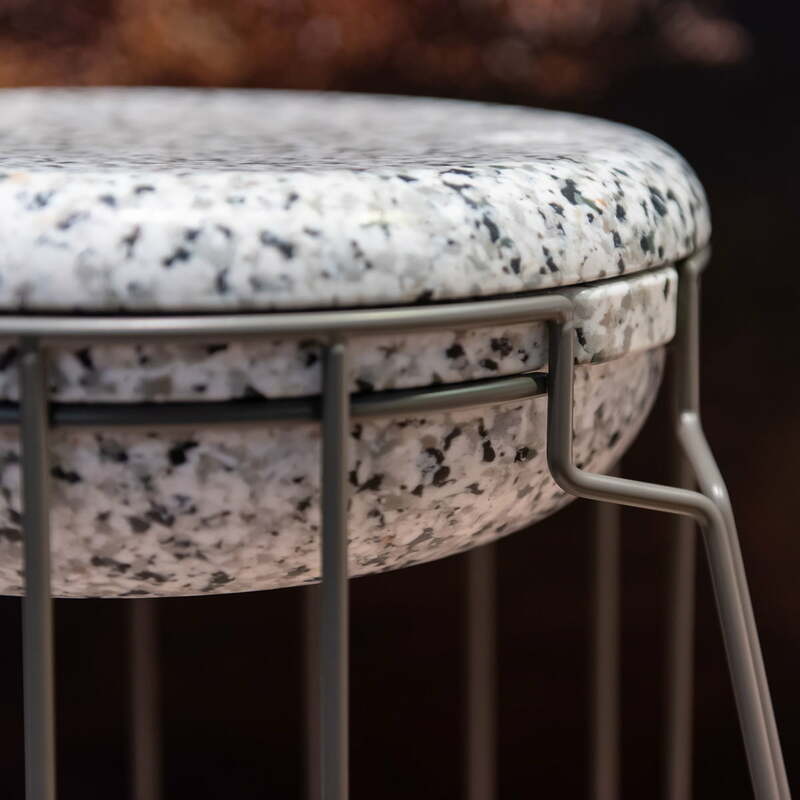 The terrazzo look lid can act as a seat, allowing Carrier to be used as a stool. In addition, the seat can be opened and offers storage space inside for small items of all kinds. Thanks to its robust materials, the Carrier can be used both indoors and outdoors and can withstand any weather. The Carrier can be used flexibly as a small shelf next to the deck chair in the garden, as a seat for spontaneous guests or as an open storage space. 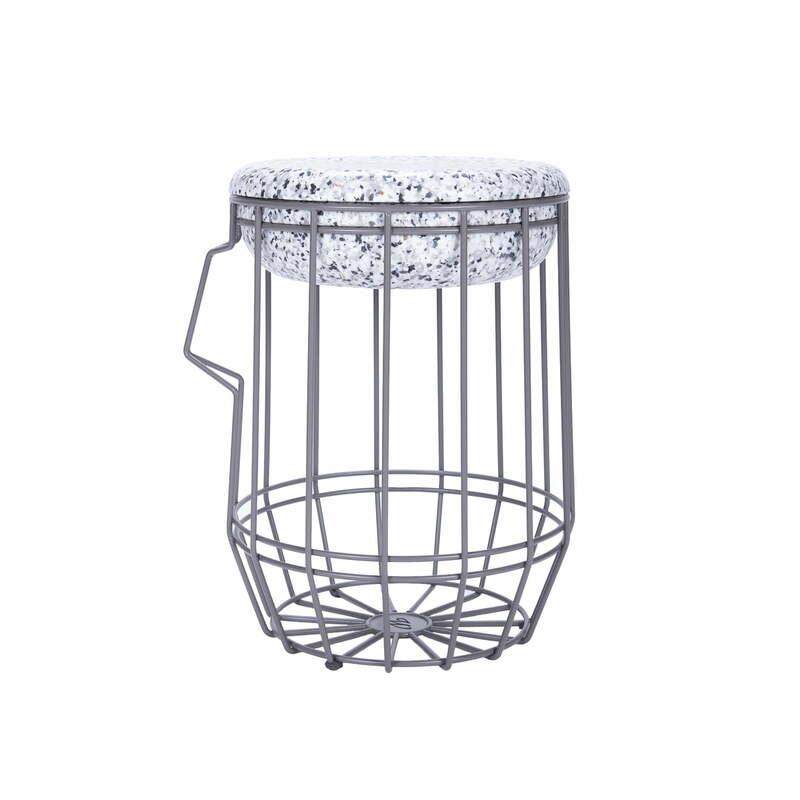 Carrier wooden & storage stool in grey by Weltevree in single view. 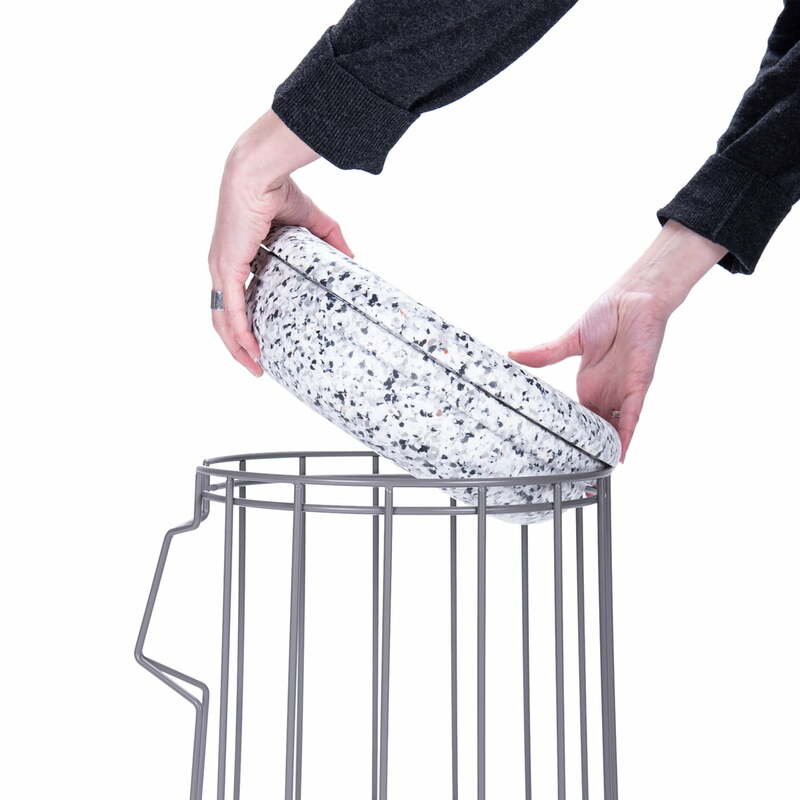 The Carrier is practical storage and stool in one, which makes it a versatile piece of furniture. In the lower steel basket, for example, firewood can be stowed away. 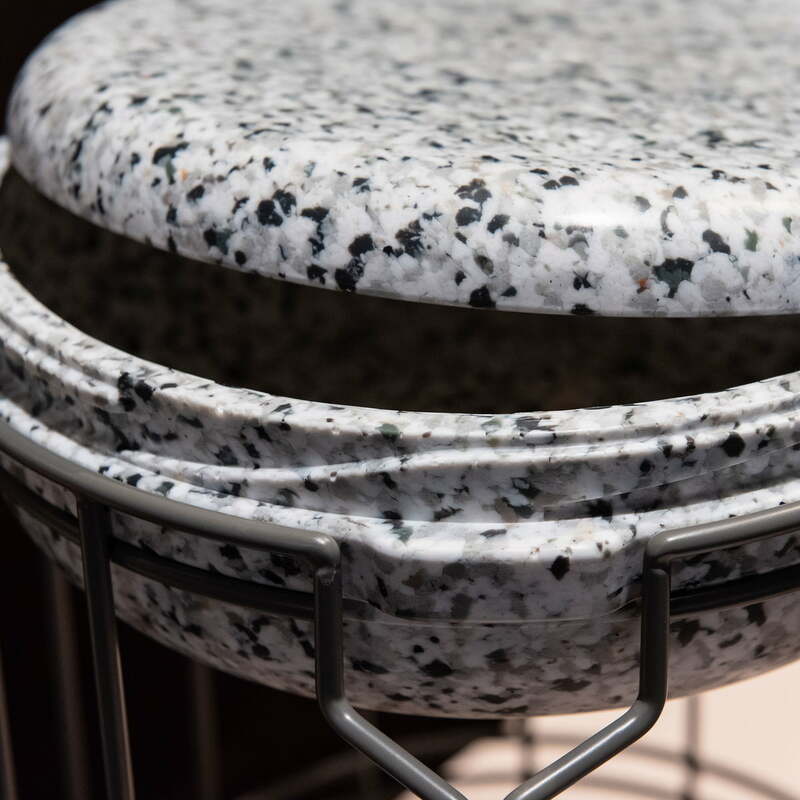 The lid is terrazzo-look made of ECOPIXEL. 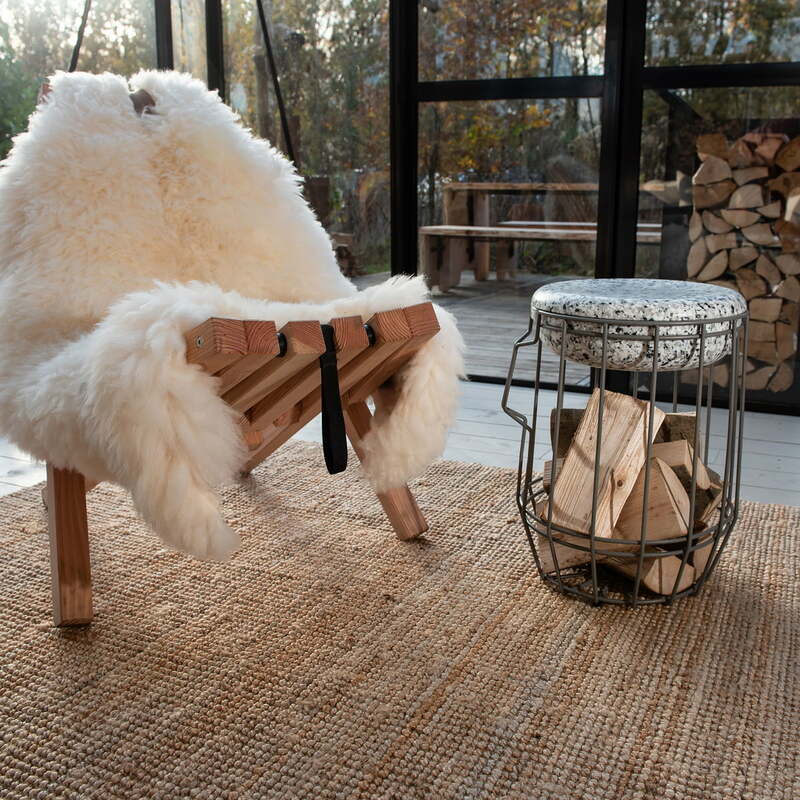 Carrier wooden & storage stool as well as Fieldchair with sheepskin by Weltevree in the ambience view. 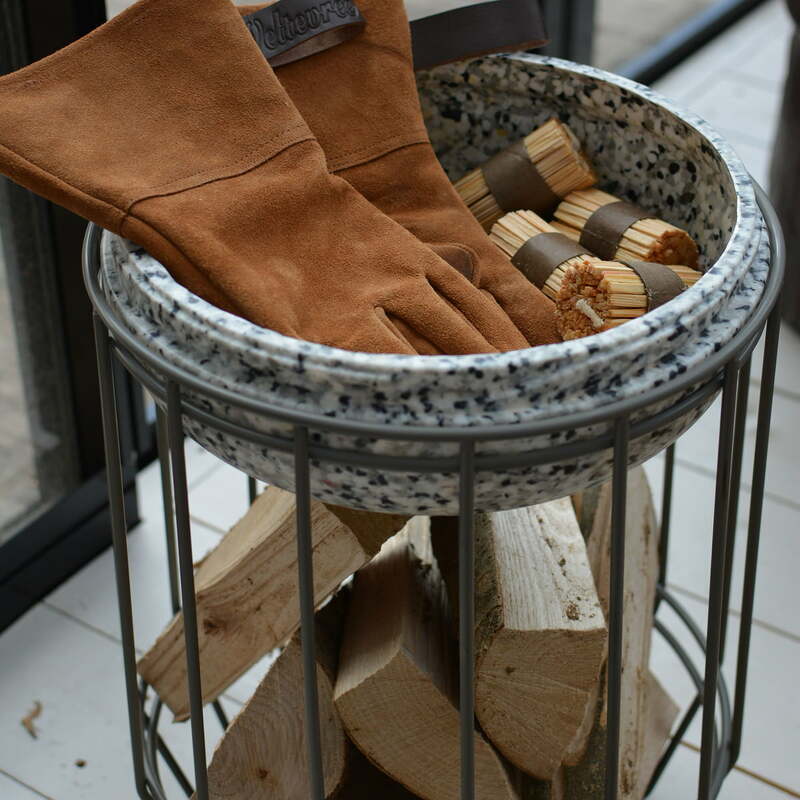 The perfect combination for cosy evenings around the campfire. Carrier wooden & storage stool by Weltevree in single view. The Carrier can be used flexibly as a small shelf next to the deck chair in the garden, as a seat for spontaneous guests or as an open storage space. Carrier wooden & storage stool from Weltevree in the ambience view. In the lower steel basket, for example, firewood, a ceiling or toys can be visibly stowed away. Carrier wooden & storage stool from Weltevree in the ambience view. The seat can be opened and offers storage space inside for small items of all kinds. 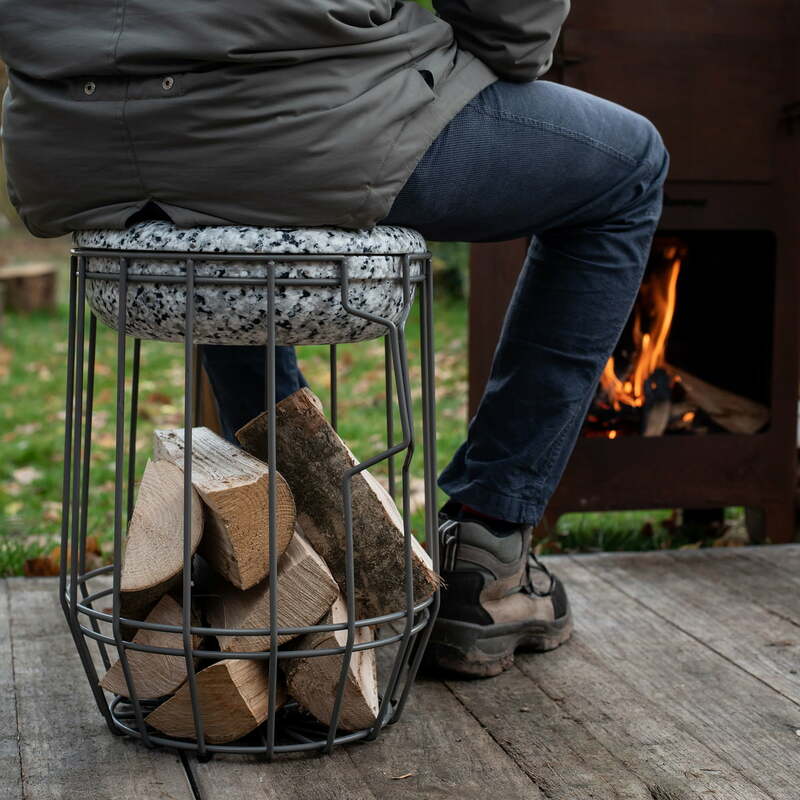 Carrier wooden & storage stool from Weltevree in the ambience view. With the help of the handle, the basket can easily be carried to the desired place of use.